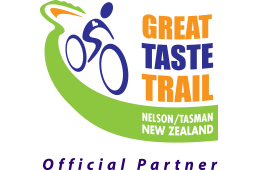 A family friendly micro-brewery located to compliment the atmosphere at Toad Hall café in Motueka, right on the Great Taste Trail, draws Hodgson in for a sample and chat with owner and beer lover, Martin Townsend. I first crossed paths with Martin Townshend long before he started brewing beer. We shared column space in the Nelson Mail some 16 years ago, when he wrote a beer column one week and I wrote a wine column the other. When he started brewing his own beer I very quickly became a fan of his amber nectar, you will always find a few bottles of Townshend Brewery beer in our fridge at home; his hand-crafted products have also won many accolades with Townshend being named as the top brewer at the New Zealand Beer Awards in 2014. But it has been a long and winding path from his home county of Cambridge in the UK to opening a sparkling new brewery in Motueka. Townshend moved to New Zealand in 1993 with a diploma in farming from an agricultural college in the UK, met a terrific woman in 1995 and married her 18 months later. When his wife Keri had finished her nursing degree he was under a bit of pressure with his working visa running out so they went back to the UK where Martin says they “worked really hard for three and a half years, and sent money back every month to save for a deposit on a house”. “I got a job working for Cambridge City council cleaning graffiti, I loved it and got to meet lots of people. When you are wearing council blues you were quite neutral, everyone would talk to you and I met some really cool people.” When Townshend first came to New Zealand he says it was literally a beer waste land compared to UK so his love of cask conditioned beers and inability to buy them here “gave me the kick in the pants to get hold of real ales again” when he returned to Nelson in 2001. “I was lucky to meet such a great bunch of brewers and thought making my own beer would be fun to do.” Of course making beer requires a brewery and he needed to earn a living too so he bought Upper Moutere Takeaways, he built a brewery at home during the day then cooked fish & chips by night. “When I started we borrowed some money to renovate the bathroom but the bathroom ended up as a small 250 litre brewery, it took a few years for Keri to get her new bathroom” he says with his typical grin. The latest move is to a brand new brewery in Motueka, behind Toad Hall, “we were lucky to be offered the space beside their café and we are there to enhance what they are offering. We were nervous because we had to produce something that would fit in and we are trying to compliment what they have already achieved so the brewery is tucked away at the back while they manage the visitor experience. Folks may get the impression we are still very separate businesses but we are working together to create something special: essentially a unique and exciting entertainment venue and garden bar where Toad Hall’s excellent food and service is backed up by our weird and wonderful craft beer range. A great outdoor area and massive deck between the two buildings really complements the connection between us.